If you want to search for issues present in a specific project, navigate to a project's Issues tab, and click on the field Search or filter results.... It will display a dropdown menu, from which you can add filters per author, assignee, milestone, label, and weight. When done, press Enter on your keyboard to filter the issues. The same process is valid for merge requests. 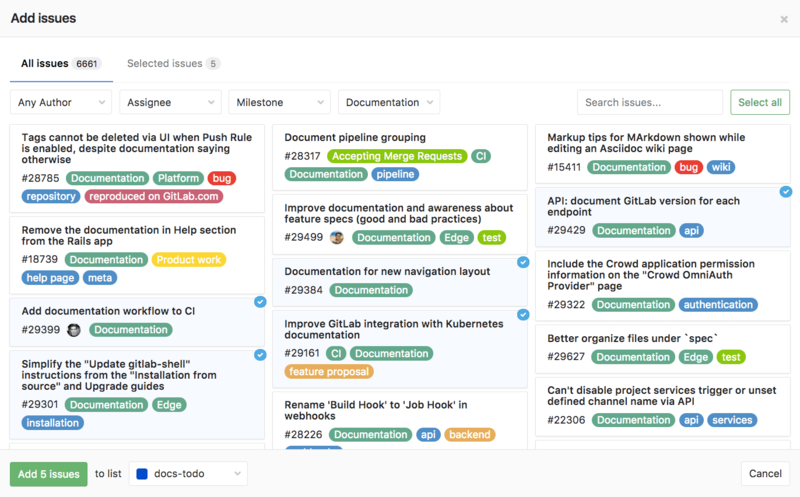 Navigate to your project's Merge Requests tab. The search and filter UI currently uses dropdowns. In a future release, the same dynamic UI as above will be carried over here.